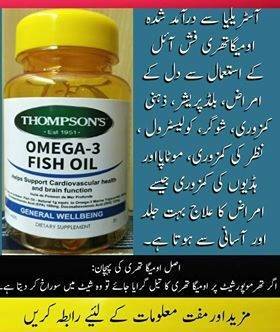 Imported from Australia, Omega-3 Fish Oil. Useful for Blood Pressure, Diabetes, Cholesterol etc. Contact for online medical constancy and order for home delivery.